A distinguished guest visited our New York City offices on Wednesday. 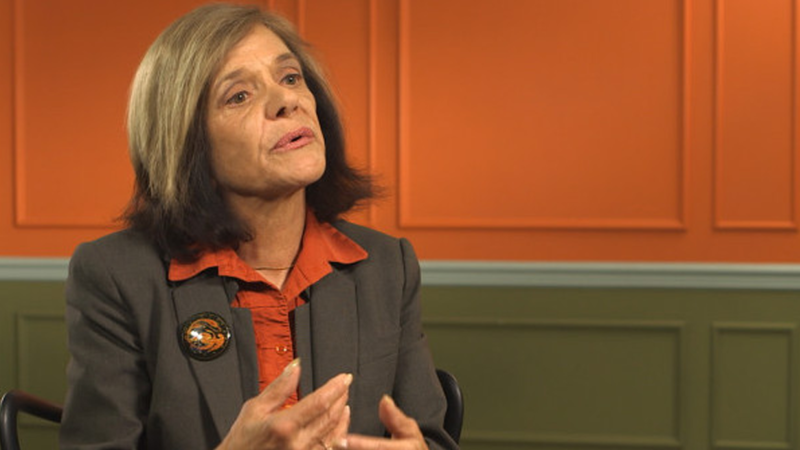 Dr. Linda Nilson, founding director of the Office of Teaching Effectiveness and Innovation at Clemson University, was in town to film an interview for ACUE’s Course in Effective Teaching Practices. During the hours-long discussion, she covered a range of topics in teaching and learning that she’s studied and written about during her prestigious career. Dr. Nilson’s interview is one of the ways ACUE is making research and video a central part of the online course. At the beginning of each module, a nationally-recognized expert discusses the learning objectives and the research-backed reasons for adopting the practices and techniques to follow. Featured experts also include Stephen Brookfield, Tom Angelo, Jay Howard, Jane Muhich, and Robin Smith. We’ll have sneak peaks of the expert interviews in the weeks and months to come. In addition to her role at Clemson, Dr. Nilson has also held leadership positions in the Professional and Organizational Development (POD) Network. She’s also authored several books and papers, including Teaching at Its Best: A Research-Based Resource for College Instructors, The Graphic Syllabus and the Outcomes Map: Communicating Your Course, and Creating Self-Regulated Learners: Strategies to Strengthen Students’ Self-Awareness and Learning Skills. On Wednesday, Dr. Nilson dove deep into the research behind student motivation, syllabus design, note-taking, giving clear directions, and preparing for the first day of class. In the interview, Dr. Nilson also had some thoughtful insights about the reinvigorated role that teaching and learning is playing in higher education.